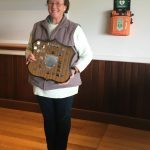 The 2016 winner of the ladies ‘Mona Clark‘ Aggregate event played over two rounds / 36 holes, is Miranda Gill (36 & 35 pts). 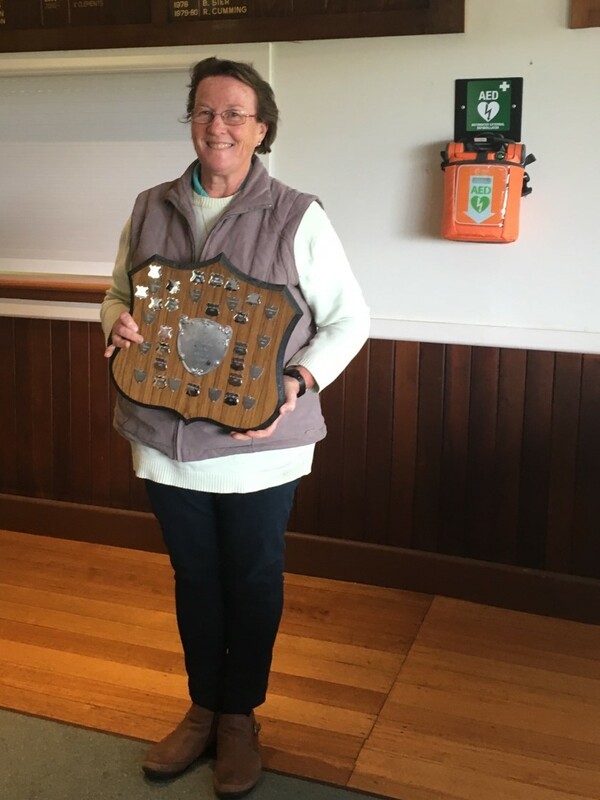 Carding a commendable 74 nett, Adrianne Anglin took out the Ladies’ Gold Medal event, a playoff for the Monthly Medal winners. This round was also the second round of the Ladies Club Championship. With 2 more rounds to play the leaders in the three Grades are A – M Gill, B – Di Elliot and C – Vicky Butler. Mick Spagnolo won today’s Men’s Par competition returning an excellent +2 to win from Jeff Aurisch (-1). Mick also was NTP on the 11th and was a key player in the winning ‘Irish‘ team event with Rob O’Halloran (-2) and Bill Dredge (-2). 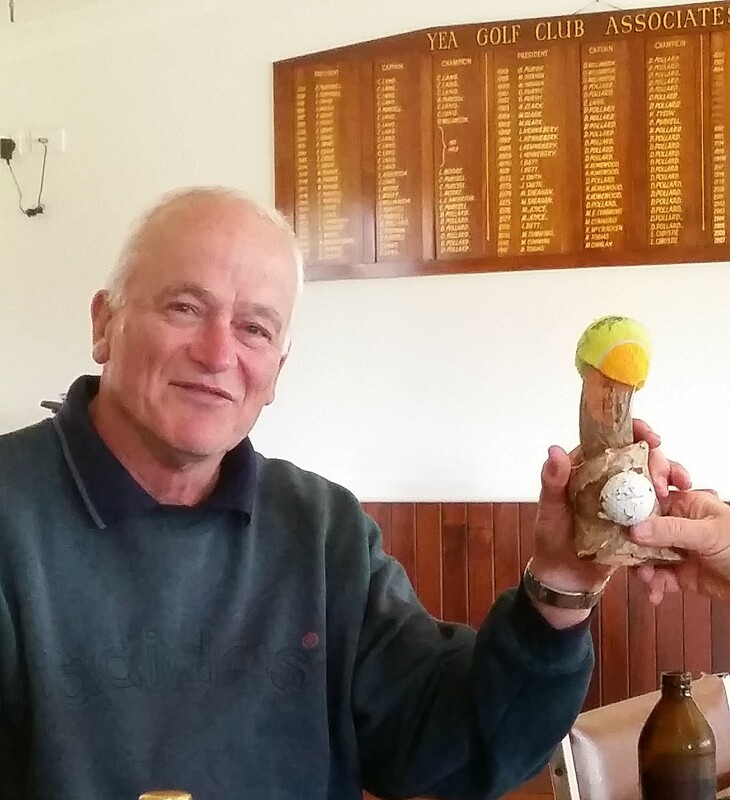 Peter Johnston, a worthy Club Award recipient – not just for his volunteer efforts either! Peter Johnston was recipient of the Club Award today. 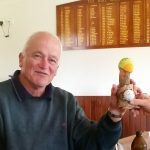 This award has been ‘shared’ over many rounds by most of our Members, even our Club Captain has rebounded ….. so hang in there Pete, the corner is just ahead, just make sure you turn at it!! Pete can be excused because, like several of our hardy volunteers he has done an excellent job on the tractor/mower yesterday, preparing the course for all to enjoy! Reminder: Don’t miss out on the ‘Mary Walker‘ Mixed Canadian event this Sunday – 11.30 for 12 noon! Call Gary or Jan to register, arrange a partner and come along. Regular Saturday Comp is on too, and the course is in excellent condition.